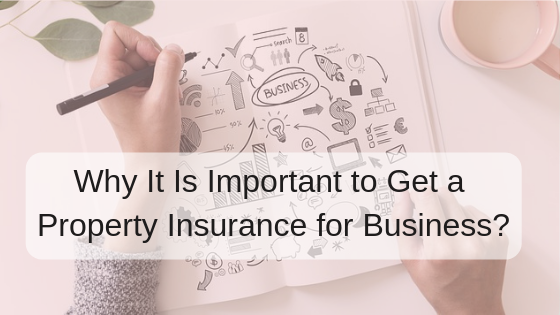 Why It Is Important to Get a Property Insurance for Business? When someone decides to start a business, the only thought that ran through his mind is the profits and get rich. However, concentrating on that thought will make you fail to plan for the vital things your business deserve to have. The place you do business means a lot to your success. You need to secure it. In securing your business is to obtain property insurance. It protects against the loss of functional services. The insurance policy depends on the company wording and local restrictions. Most people think that property insurance is only for big companies who own commercial space. The naked truth is that whether you operate your small business out of your home or lease, or rent, property insurance is a must. It does not only protect the building you use but also the things that are inside. These are inventory, equipment, and other electronics. When we talked about business protection, it's not all about having a security guard or putting an electric fence. There are uncountable disasters that we've seen physical and watched on TV. In spite of the building size and security measures, it will happen. Sometimes robbers break in some buildings in the way that will leave you to wonder how did they manage to rob in such tight security. Misfortune and disaster don't discriminate. Disasters are uncontrollable, and it's not easy to deal. If this happens, your business will suffer from lost income. However, if insured by the agent, the agent is responsible for compensation according to the property covered. Property Insurance in the Philippines is designed to protect you and your business from loss. When the small office or small kiosk damaged by unforeseen natural circumstances. It destroys inventory worth of your hard earned cash. Business insurance can help you restore the damaged with quality materials that exist before the damaged. Furthermore, the disaster occurrence usually interrupts business operations. Become insured will benefit you in the protection of reputation with your customers. Generally, waiting to buy a raincoat during rainy weather to protect yourself from rain is not a good idea. That's because of the price of the raincoat will be expensive due to high demands. Likewise, recovering your business during the loss or damage will cost you and may lead to your business closure. Thus, it's important to take a step of securing the property of your business. With Malayan Insurance Company in the Philippines, you can be sure of your business protection.